Even though anticommunism in the United States reached its apogee in the late 1940s and 1950s, the aversion to radical left-wing ideologies has a far longer history. Much has been said and written about American anticommunism; however, there are very few monographs that thoroughly analyze this phenomenon, including its roots in the 19th century and its enduring effects on contemporary US politics. Fortunately, this historiographical gap has recently been narrowed by Nick Fischer’s Spider Web: The Birth of American Anticommunism. The author is an adjunct research fellow of the School of Philosophical, Historical and International Studies at Monash University, Melbourne. Despite being his first book, Spider Web turns out to be a well-researched and thoughtful interdisciplinary work that intertwiningly uses perspectives of history, political science, sociology, and media studies. This was made possible as a result of the numerous sources gathered by Fischer, which are the effect of his queries in various libraries and archives, including the Hoover Institution, the Library of Congress and the US National Archives. Also worth underlining is the comprehensive bibliography of books and articles that Fischer includes in his work. The book comprises an introduction, thirteen even chapters, and a conclusion. Chapter 1 covers the years 1860-1917 and delineates the origins of modern anticommunism in the United States. The author rightly traces its roots to the second half of the 19th century, the period of various social and political upheavals caused mainly by economic turbulences and mass immigration. As Nick Fischer points out: “Anticommunism emerged from the ways in which different social, economic, and political interests sought either to explain and preserve or, alternatively, to reform the structure of American society” (1). With labor unions on the rise and the emerging working class, political and business elites needed a handy tool to distract the attention of the masses from poor working conditions and low wages. 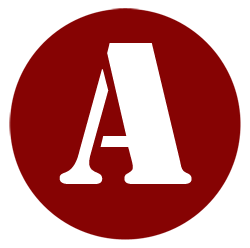 Anarchist ideology presented such a tool, as it was regarded as both dangerous and foreign. Soon, every attempt to criticize the US economic and political system became synonymous with anarchism and un-Americanism. Fischer writes: “The conflation of ‘communism’ and anarchism with labor organization and migrants was strengthened by fantastic stories told by the opponents of labor to supply irrefutable ‘proof’ of ‘un-American’ treachery and conspiracy among trade unions and migrant communities” (9). Chapters 2 and 3 focus on the First World War and the Russian Revolution and their repercussions on American politics. Even before the United States joined the war in April 1917, Congress had introduced several acts aimed at fighting un-American activities. Consequently, various left-wing organizations—including radical labor unions, such as the International Workers of the World (IWW)—faced legal challenges. By 1919, a number of socialist newspapers had been closed down while their journalists faced either arrest or—in the case of foreign-born employees—deportation. According to Fischer, “Deporting became a favored method for decapitating political and industrial organizations, starting with the IWW and continuing during the Red Scare with the Communist Party” (27). The American press played a leading role in orchestrating this prevailing anti-labor and anti-socialist atmosphere in the US. Local and metropolitan papers alike would depict all left-wing sympathizers as radicals and foreigners whose sole goal was to destroy the United States from within. 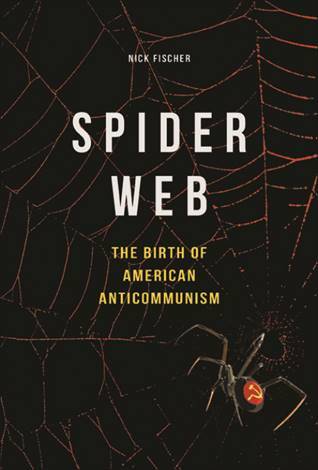 Chapters 4 and 5 discuss the origin and impact of the idea of the so-called Communist Spider Web in the United States. Although the country found itself among the winners of the First World War, the domestic mood was far from triumphant. The danger of a radical revolution that had been instilled into the society by journalists, businessmen and politicians now seemed real and imminent. It is impossible to disagree with Fischer when he points out that “the specter of communism provided an all-encompassing bogey to aid in the fight against myriad unwelcome societal changes that anticommunists could blame on a grand pernicious doctrine associated exclusively with revolutionary and undesirable ethnic, religious, and social groups” (71). It was in such an atmosphere that in 1923 Lucia Maxwell, a librarian on the staff of the War Department, drew up the infamous Spider Web Chart. In the chart, the Young Women’s Christian Association and the National Council for the Prevention of War were included among dangerous red organizations. In fact, none of the organizations included in the chart were communist, but, due to the interest of the national press, Maxwell’s pamphlet soon began to be considered an eye-opening document. In the following chapters, Fischer explains how the publishing of the Spider Web Chart fueled another phase of the Red Scare in the United States. He rightly connects the rise of anticommunism with aversion to immigration—prevailing among members of all classes—, as well as the high social position of “scientific” eugenics and racism. Various scholars of the era explained why communism and communists were dangerous not only to the American socio-political system, but to the very existence of the “American race.” In this, Fischer rightly underlines the role of John B. Trevor, an associate counsel for the US Senate and “one of the most influential unelected officials affiliated with the US Congress” (Bendersky 158). To get a notion of his views on foreigners, it is enough to quote his opinion on Jews: “Of all the new immigrants, they were the most strongly marked as belonging to a distinct ‘race,’ maintaining a distinct bloodline along with their cultural identity” (97). Thus, it can hardly be surprising that Jewish (and Slavic) immigrants, especially from the Soviet Union, were commonly perceived not just as foreigners but, first and foremost, as communists. If Trevor provided the theoretical background to American anticommunism, Jacob Spolansky produced tangible proof. Spolansky—himself an immigrant from a territory that is now part of Ukraine—joined the Bureau of Investigation (the predecessor of the FBI) in 1919 with the goal to infiltrate radical labor unions, especially the IWW. Soon, he ran a net of spies who would churn out real and, even more often, fake information on communist activities among “the concentrations of aliens” (130). In addition, Spolansky began a career in writing, first as a journalist and later as a non-fiction writer. “Spolansky’s revelations confirmed important suppositions about communists” by presenting communism as a “dastardly foreign-backed threat to America’s way of life” (134). Fischer introduces the biographies of Trevor and Spolansky to illustrate how anticommunism influenced the entire American political system. First, anticommunism served as an excuse to halt mass immigration to the United States in 1921 and terminate immigration almost entirely three years later. In this, it was the leading element of the public discourse on the American nation and foreigners—apart from “scientific” racism and eugenics. Second, anticommunism allowed the political elite to wage cultural wars aimed not as much at communists but at everyone who questioned the contemporary form of capitalism. Finally, big business used anticommunism to curb labor unions. Perhaps the latter was the most important result of the rise of anticommunist notions in American society. “Even during their postwar heyday, unions were thoroughly subdued by these anticommunist measures, which unleashed a government fostered exodus from the labor movement. Anticommunist legislation was followed by anti-labor legislation that otherwise could not have been introduced without sparking mass protests” (268). Even during the Great Depression, “political, business, and labor leaders attacked the ‘communist’ reforms of the New Deal by appealing to racial prejudice of the white working class and by describing endogenous, sometimes-Marxist industrial organization as Moscow-directed revolution” (269). In the Conclusion, Fischer addresses the legacy of the Spider Web. He agrees with those historians who maintain that anticommunism has survived as an important factor in US politics even today, albeit in an altered form: “The Web’s descendants used the same arguments, rhetorical tropes, and state and corporate instruments to pursue the political, economic, and social agenda of their forebears” (256). Although Fischer ends his considerations in the late 1950s, giving only short remarks on the following years, he makes it plain that anticommunism is still present in US politics. Fischer’s research is extensive, and in many aspects pioneering. Not only does he sum up the previous findings on American anticommunism, but also adds new information and, more importantly, provides new analytical perspectives. At the same time, Fischer does not try to hide his critical opinion about American anticommunism and its impact on US politics in general. In his own words, anticommunism significantly reduced the “government’s and society’s capacity to abide by the principles that inspired the foundations of the United States” (xviii). Even though some may disagree with such a thesis, it is worth familiarizing oneself with Fischer’s arguments. Spider Web should gain attention not only among historians and political scientists but everyone interested in contemporary United States and its society. As Fischer underlines in his book, the Spider Web, which symbolizes American anticommunism, has influenced the nation’s politics as much as its economy and culture. Since its birth in the second half of the 19th century, it has become an indelible part of American exceptionalism. If we recognize that republicanism, democracy and capitalism define the United States, we have to acknowledge the influence of anticommunism as well. Bendersky W. Joseph. 2000.The “Jewish Threat”. Anti-Semitic Politics of the U.S. Army. New York, NY: Basic Books.